Dr. Jonathan Sayre Allen serves as Lecturer in Trombone at The University of Iowa. Before this appointment, Jonathan served as Adjunct Instructor of Low Brass at St. Ambrose University. His students have received scholarships and graduate assistantships to attend the New England Conservatory, Eastman School of Music, University of Miami, Mannes College, University of Iowa, Indiana University, Western Michigan, Columbus State, University of Utah, University of Missouri Kansas City, and the University of Northern Iowa. Students have won positions in prestigious ensembles, such as the Grammy All-Star Band, Next-Generation Jazz Orchestra, Brubeck Jazz Colony, Jazz Band of America, as well as Iowa All-State Orchestra, Band, and Jazz Band. While a student at The University of Northern Colorado, Jonathan began his professional career by winning a position in the Greeley Philharmonic Orchestra. As a member of the Orchestra at Temple Square (UT), Dr. Allen performed weekly international television and radio broadcasts with the Mormon Tabernacle Choir, in addition to performing on several audio and video recordings with the ensemble. Allen has performed with the Quad-City Symphony, Orchestra Iowa, Utah Symphony Orchestra, Boulder Philharmonic, Cheyenne Symphony, Ft. Collins Symphony and The Temptations. In addition, he has appeared on several film soundtracks and commercial recordings. Dr. Allen recently performed at the Eastern Trombone Workshop in Washington D.C. and the International Trombone Festival. At the 2013 International Trombone Festival the Iowa Trombone Octet, performed twice under the direction of Jonathan Allen. At the same ITF Dr. Allen conducted one of the ITF Participant Choirs and led a group warm-up session with the Junior ITF. 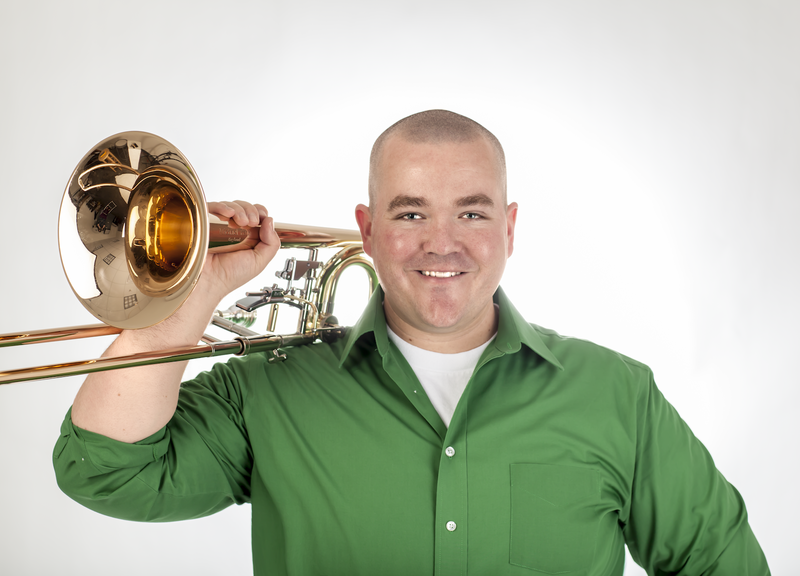 Allen has served as web-assistant for the International Trombone Association and was a founding member and Co-Chair of the Student Board of Directors for the ITA. Dr. Allen holds degrees from The University of Iowa, University of Utah, and the University of Northern Colorado. His teachers have included Edwin “Buddy” Baker, Dr. Nathaniel Wickham, Larry Zalkind, Dr. Donn Schaefer, and Dr. David Gier.